Always wanted to throw an axe, but thought it might be a bit dangerous? Well, Bouncin' Around has the solution! 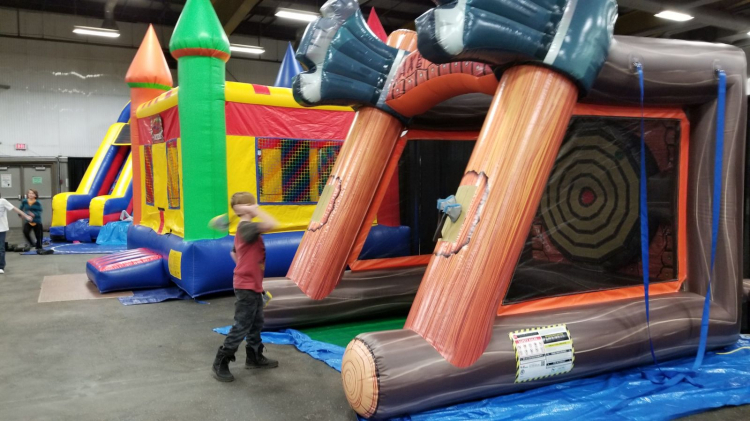 Bouncin' Around's Inflatable AXE THROW is great for all ages (well, almost...) and is safe and easy to use. The inflated unit has a velcro target wall, and each axe has a velcro head. You can play alone or against another person. See who can hit the center target, or even try for the harder outer targets in green. Aim and throw, it's simple and fun.